//	Price and Spec Wars: Samsung Galaxy C7, C5 to Compete with OnePlus 3 – Who Will Win? Price and Spec Wars: Samsung Galaxy C7, C5 to Compete with OnePlus 3 – Who Will Win? Samsung has recently released the Galaxy C7 and Galaxy C5 mid-rangers in China, but they are yet to be availed in all markets. In fact, it is not yet known the markets that Samsung will be shipping these devices to. There are some ongoing reports suggesting that Samsung will be selling this phone in other Asian markets sooner than we expect, with one of the South Korean major targets being India. The Asian country has emerged as one of the hottest markets, especially when it comes to mid-range devices. Major players in the smartphone industry, including Apple, have been hunting down the Indian market. 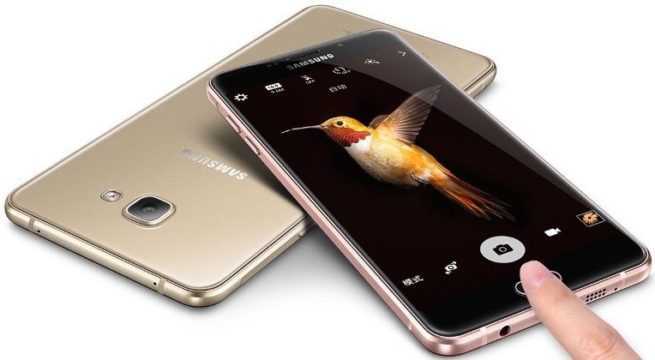 According to the country’s export and import listing website Zauba, a Samsung Galaxy C5 with model number SM-C5000 is headed to India. The Zauba report is further backed by another report that claims Samsung will be selling both the Galaxy C7 and Galaxy C5 in India very soon. There are no specific details on the release date of these two phones in the country, but it remains clear that the phone will indeed be availed for purchase. In China, Samsung Galaxy C5 (32GB) is priced at 2,199 yuan, which converts to around Rs. 22,500 or $335. On the other hand, the 64GB variant costs 2,399 yuan, which is equivalent to Rs. 24,500 or $365. As for the Galaxy C7, the 32GB variant costs 2,599 yuan, which is around Rs. 26,600 or $396 while the 64GB variant costs 2,799 yuan, which converts to Rs. 28,600 or $427. In India, the latest reports indicate that the lower end Samsung Galaxy C5 could be priced at Rs. 26,000 whereas the Galaxy C7 will cost about Rs. 30,000. Of course, this is just a rumor as Samsung has yet to come out with the details of the pricing of the phones in India. However, it is kind of a surprise that Samsung would price this mid-ranger at such high prices, especially when the likes of OnePlus 3, a flagship phone with top of the table specs, is available for an even lower price. The high-end Samsung Galaxy C7 costs $427. For this, you will be getting a phone with a 5.7-inch 1080p Super AMOLED screen with Full HD resolution. Under the hood, the Galaxy C7 has a mid-range Snapdragon 625 processor that is paired with an Adreno 506 GPU and a RAM of 4GB. As mentioned earlier, there are two storage options of 32GB and 64GB, all of which can be expanded via a microSD card of up to 128GB. The rear of the phone has a 16MP sensor with f/1.9 aperture and dual-tone LED flash. You get an 8MP sensor on the front with the same aperture. As for the operating system, you will get the latest Android 6.0.1 Marshmallow. Being closer to the top end Galaxy S7, the phone also packs a fingerprint scanner as well as Quick Charge 3.0 technology to fast charge its 3300 non-removable battery unit. On contrast, the new OnePlus 3 is valued at $399 while the Indian price is set at Rs. 27,999. For this, you will be getting a 5.5-inch AMOLED screen with Full HD 1080p resolution. Under the hood, the OnePlus 3 packs 2016 flagship specs and even a lot better. You get a Snapdragon 820 SoC that is paired with the latest Adreno 530 GPU and a massive RAM of 6GB, which is 2GB more than what you get on the Galaxy C7. As for the storage options, you will get the same storage as the high-end Galaxy C7 – 64GB – but unlike the Samsung phone, there is no support for microSD card on the OnePlus flagship. Being a flagship, the OnePlus 3 also comes with a flagship camera, although the megapixel count is the same for both handsets. The rear snapper has a 16MP sensor with a slightly smaller aperture of f/2.0 as compared to the Galaxy C7. 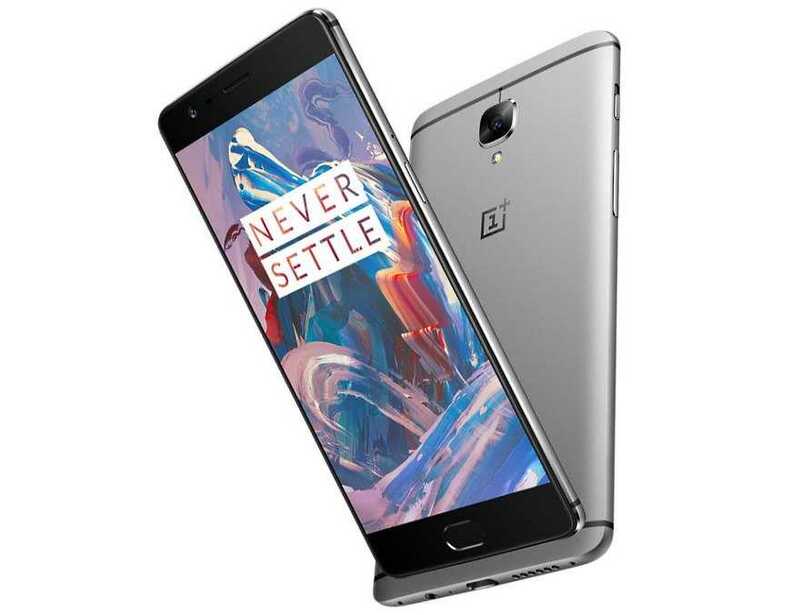 However, the OnePlus 3 gets more features than the C7, for instance, PDAF, Auto HDR, and OIS, among others. In addition, while the latter can only manage to capture 1080p videos, the former can capture 2160p videos, which is a better quality than the former. Just like the Galaxy C7, you also get fast charging services on the OnePlus 3. However, the OnePlus flagship makes use of Dash Charge instead of Quick Charge technology. The phone also gets a slightly smaller battery of 3000mAh as compared to its counterpart. Samsung Galaxy C5, on the other hand, comes in with a slightly smaller 5.2-inch Full HD screen based on Super AMOLED technology. Under the hood, it packs a Snapdragon 617 SoC, which is another mid-range processor from Qualcomm. This is paired with an Adreno 405 GPU and a RAM of 4GB, which is still 2GB less than the OnePlus 3. Like the Galaxy C7, there are two storage options of 32GB and 64GB, all of which can be expanded via a microSD card of up to 128GB. The camera specs and OS version remain the same as the C7. Due to its smaller form factor, the Galaxy C5 also gets a smaller battery unit of 2600mAh. However, it still gets to take advantage of Qualcomm’s Quick Charge 3.0 technology. There is no doubt that Samsung is in for tougher competition than it expected. Unless something is done about the prices of the Galaxy C7 and Galaxy C5, it will be hard for any sane smartphone buyer to opt against the OnePlus 3 flagship.